Party People Celebration company provided the Fabric backdrop and canopy for the Stage and Entrance to the Bridal Exhibit. Party People Celebration Company uses Fire Retardant Fabrics for their designs. 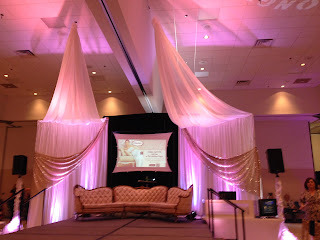 White Satin backdrop and Organza from the ceiling were up lighted with Pink lighting from DJ Brackin. 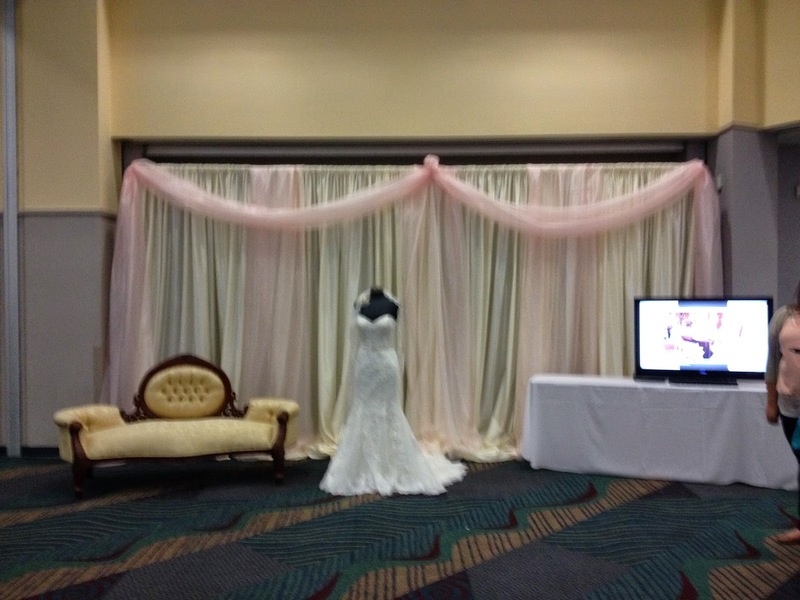 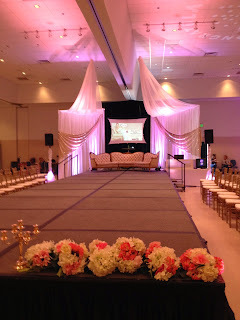 Ivory Satin and light pink Organza swags Covered the Box office in the background, and served as a backdrop as Brides arrived at the Exhibit. 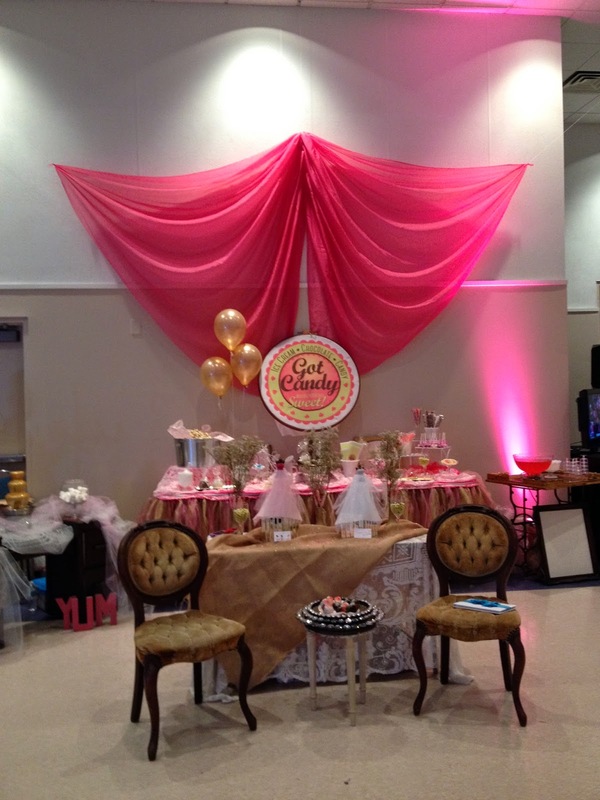 Lime Organza canopy with crystal Chandelier draw attention to the Cakes by Linda Brown and Party People Celebration Company booth! 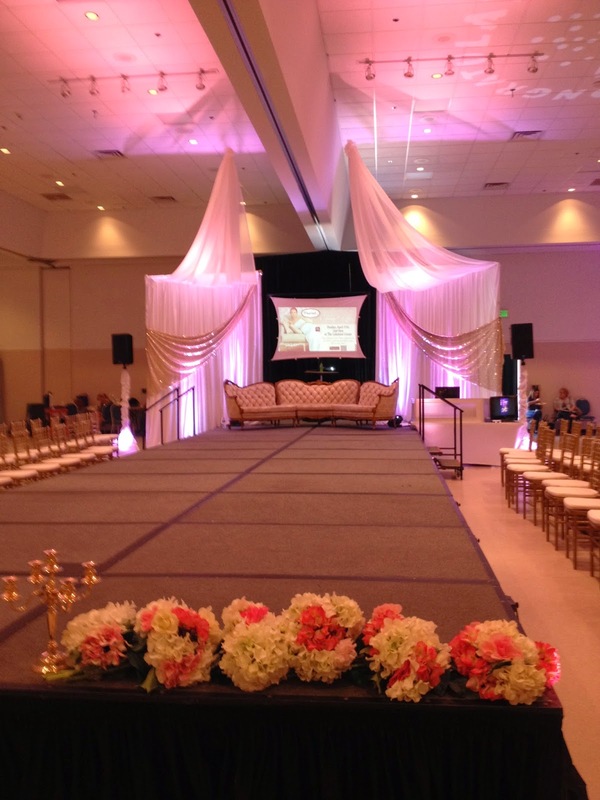 Organza Canopies are available in a variety of colors and styles, as we provide custom decor for all of our clients based on their venue, vision and dreams! 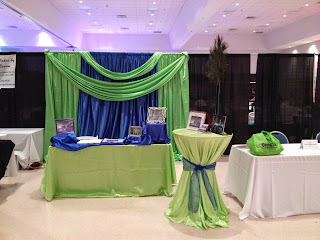 For our Party People Celebration company booth we decided to showcase our bright company colors - Royal blue and Lime since we had already had samples of our Ivory and White backdrops around the show. Fabric backdrops are a great way to cover an area you do not like at your venue, or create an elegant backdrop for a vocal point or photo area. 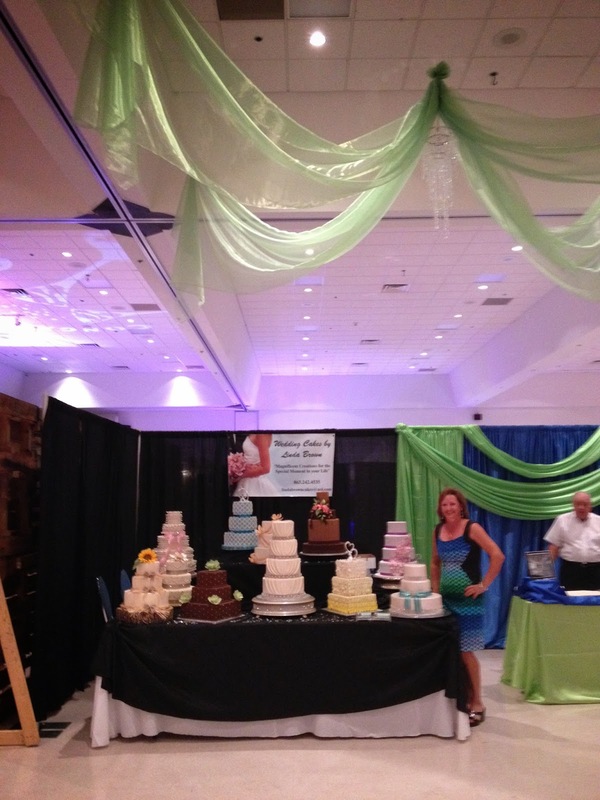 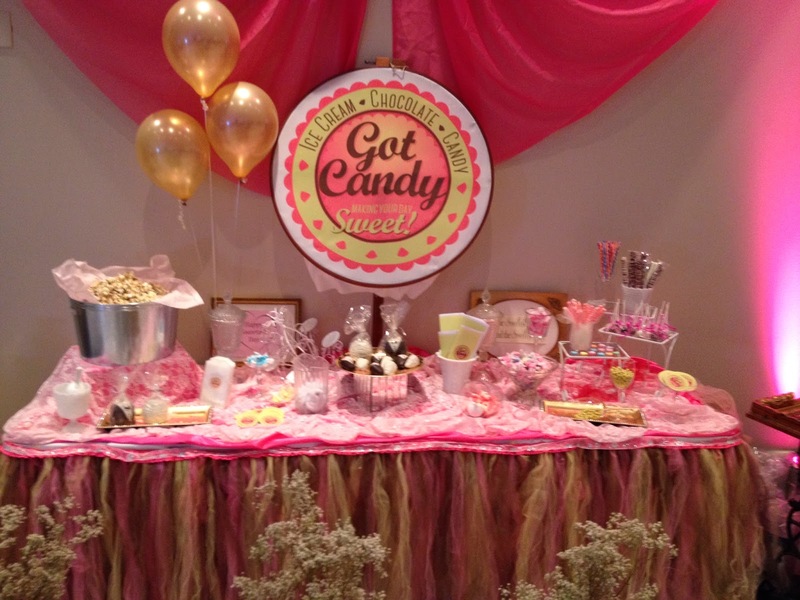 Party People Celebration Company provided the Hot Pink Voille over Got Candy's wonderfully staged booth! Party People Celebration Company is Based in Lakeland Florida, and provides decor for clients throughout Central Florida. Visit our website http://partypeoplecelebrationco.com Call 863-255-2025 or email partypeoplecc@msn.com to hire us for your special event!